Midwest Winter Weather Blog: First Midwest Winter Storm? Models are now latching onto the idea of a cross country area of accumulating snow by next Tuesday. The GFS and ECMWF are forecasting a narrow band of snow, with the heaviest amounts from central Iowa to Detroit. Amounts near 6" are forecast by both models. However, there are several uncertainties, besides the fact we are 5+ days out in this system. The narrow band of heavy snow, associated with positive vorticity advection and atmospheric convergence is tough to pinpoint an exact location. Furthermore, the actual surface low never develops into significant area of low pressure as minimal amplification is present in the models. The ECMWF did have a couple runs of a sub 996mb cyclone across the Midwest, but has since abandoned that idea. The next several runs will be key to the evolution of this possible winter storm. 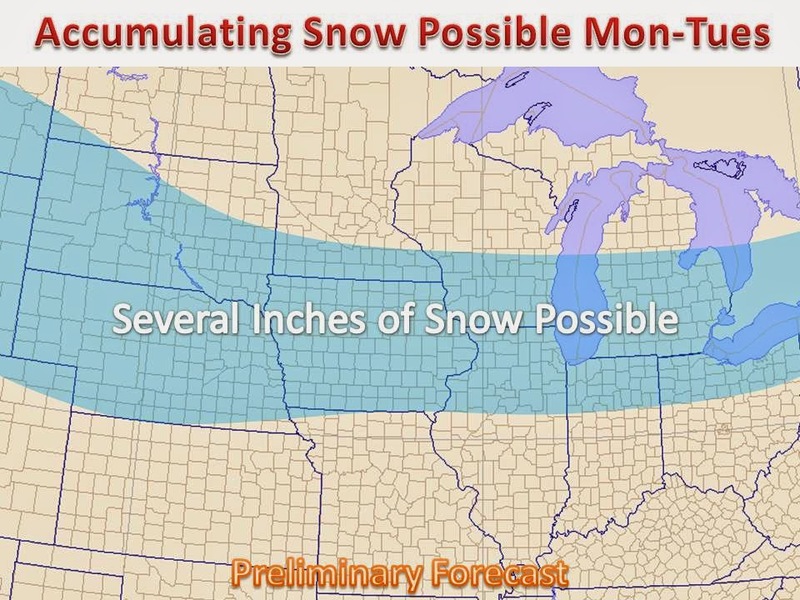 Either way accumulations are likely at least somewhere in the Midwest, stay tuned! Either way, the coldest air of the season is poised for the middle of next week. Keep it here to Midwest Weather for continued updates throughout the weekend. You can always check some of the models yourself through our Computer Snow Output Maps page!